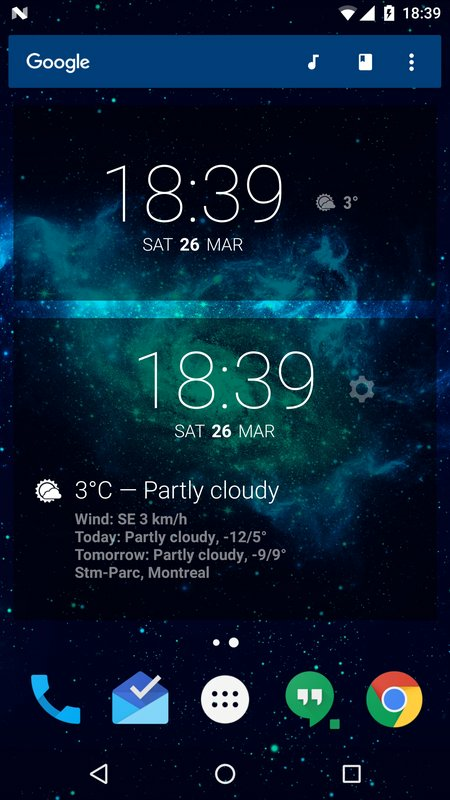 BetterWeather is an extension for DashClock Widget. NEW: OpenWeatherMap API! Easily change API from the settings! If you like this extension you can support my work and donate right from the app, thanks! 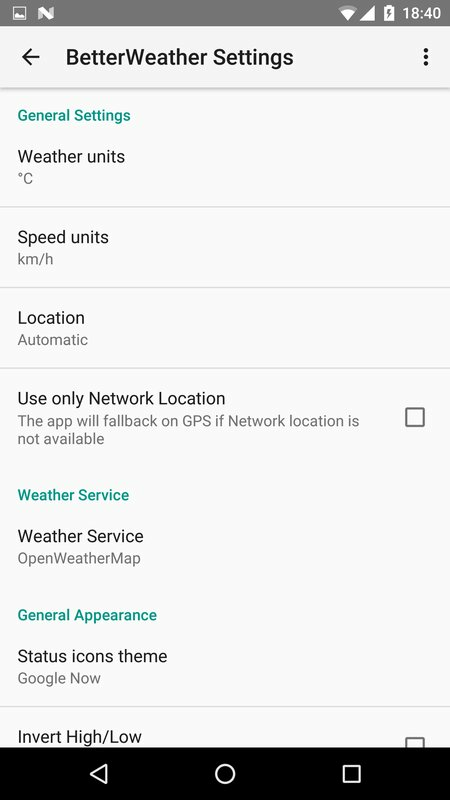 It is based on the weather extension included with DashClock and allows you to set your own location, instead of relying on your network location. It also contains more weather status icons than the original extension (Thunderstorms, Mostly Cloudy, Hail, etc.) and multiple icon themes. - and Custom refresh interval. This extension uses OpenWeatherMap to get its data. If you have feature suggestions or if you encounter any problem feel free to contact me through Google Play.